Christian Heritage Tours Inc. ® is a multilingual Guide Service to our Nation's Capital; Philadelphia; Valley Forge; Gettysburg; Jamestown, Yorktown and Williamsburg, Virginia, and other historic sites with an emphasis upon our American traditions and heritage. Since its inception in March, 1984, licensed Christian guides and comfortable modern buses have been taking thousands of visitors on pilgrimage to discover and enjoy their rich Christian heritage and biblical history in the United States of America. 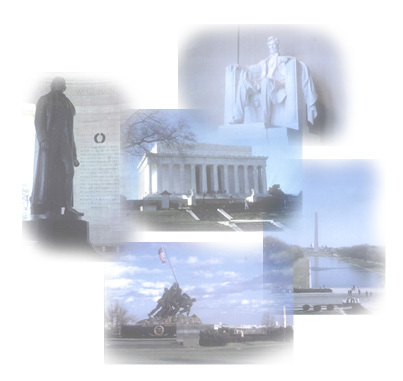 It's an exciting study, so let us explore together our rich heritage, etched in marble and stone and woven into the very warp and woof of America's culture through the architectural, artistic and historical themes inherent within and without her national landmarks, monuments and memorials.